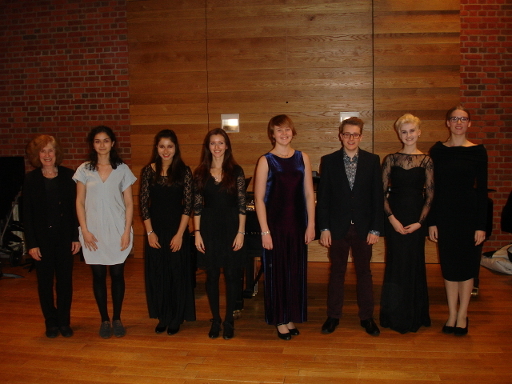 The final of the Catherine Lambert Junior Recital Prize was held at the Purcell School this year and thanks are due to the school’s administrative staff and Tom Marandola for their help in staging the event. Carolyn Richards was, as always, a tower of strength behind the scenes and is to be heartily thanked for all her work, from receiving the initial applications, through the preliminary competition and, of course, at the final. Judy Hildesley again provided Taggs Yard for the London preliminary and was one of the judges there with Jonathan Courage. The Association was also given rooms at the Leeds College of Music. Jonathan Courage was joined by Sarah Leonard and Jane Roberson for the final. All judges gave their services for expenses only for which the Association is most grateful. The winner of the first prize this year was Georgia Odette, a student at the Purcell School. Her recital was carefully devised and both speech and song were delivered with confidence, variety of tone and colour and a real sense of involvement and communication. The runner –up was Stephanie Edwards and third was Rowena Ashby. 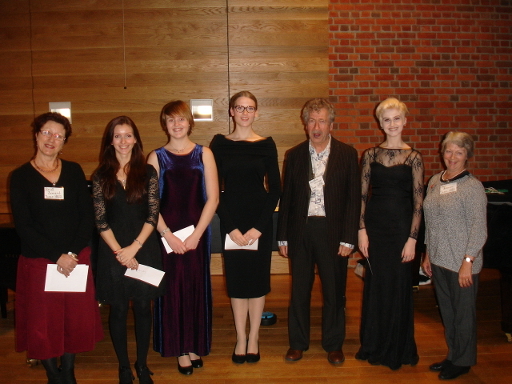 The Marian Lines Speech Prize was presented by Graham Lines to Emily Christian. The AESS would like to thank Catherine Lambert, Coral Gould MBE and Graham Lines for their continued support. This entry was posted in Past Events on November 16, 2014 by AESS.